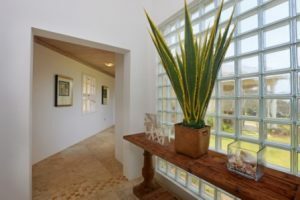 Welcome to Equinox a villa with a connection to nature! 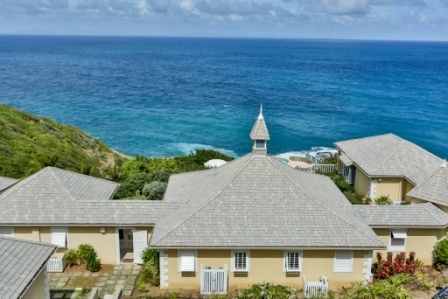 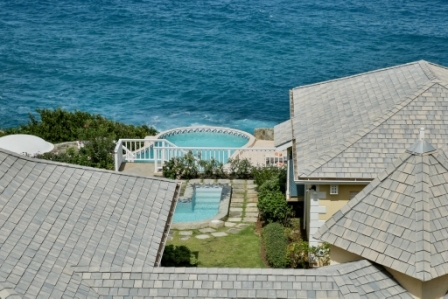 Equinox is situated at the prime location of Sea Breeze Hills in Cap Estate and enjoys uninterrupted views out to sea. 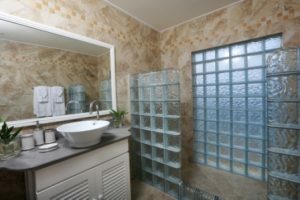 Its’ perfectly situated to allow for complete privacy while the design of the villa allows for mingling. 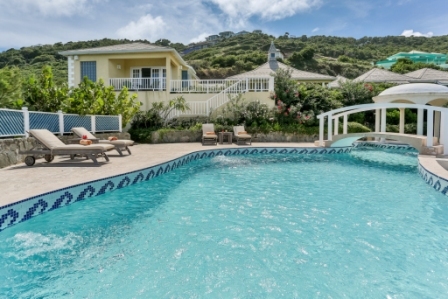 The pool is a haven of tranquility complete with a swim up bar, where one can hear the sounds of the waves crashing below and maybe get a chance to spot migrating whales! During the day you can use the binoculars and follow the birds, boats and any other sea life you could spot. 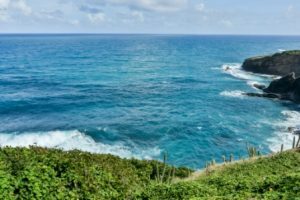 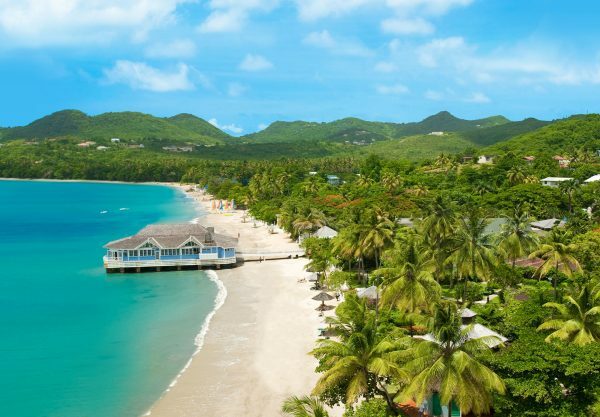 On an evening watch the sunset over the green ravine and the twinkling lights of neighboring island Martinique as twilight falls. Equinox also has a plunge pool located directly off the master bedroom, the perfect spot for couples or honeymooners or for little tykes! 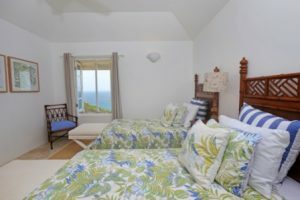 From the house there is also an adventure trail that leads you down to the waterfront with rock pools and sea channels teeming with sea life. 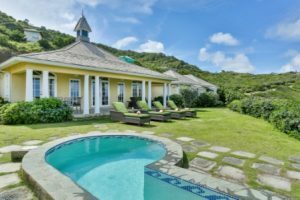 This sprawling villa was designed to create a social atmosphere while still affording its occupants areas of seclusion and privacy if so desired. 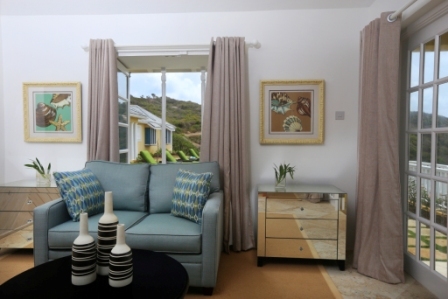 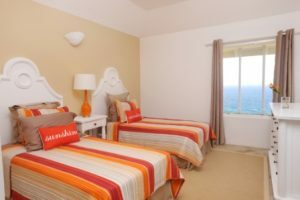 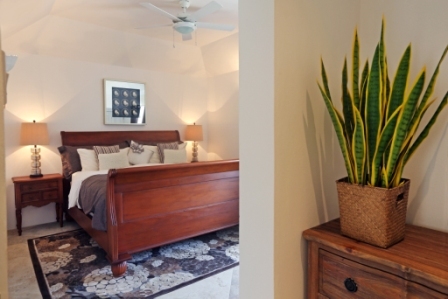 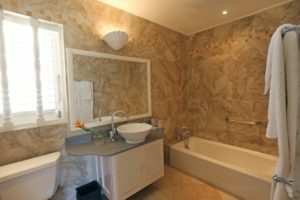 There is a total of 4 bedrooms each with en-suite bathrooms & each bedroom has been artistically decorated by local interior designers, Inside Out. 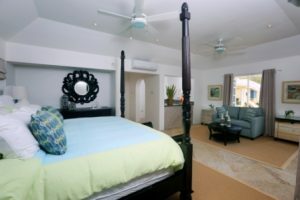 Three bedrooms are located in the left wing of the villa, one with a king-sized bed and the other two with two twin beds that can be converted into kings. 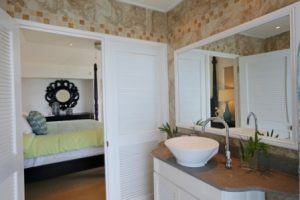 The Master bedroom is located in the right wing of the villa with a four poster king sized bed, with its own kitchenette & terrace that walks out to the plunge pool. 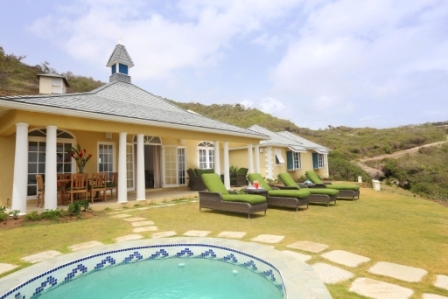 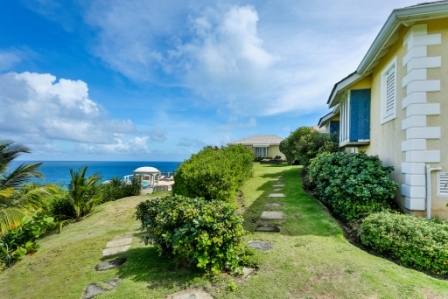 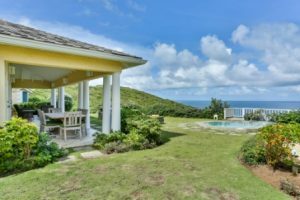 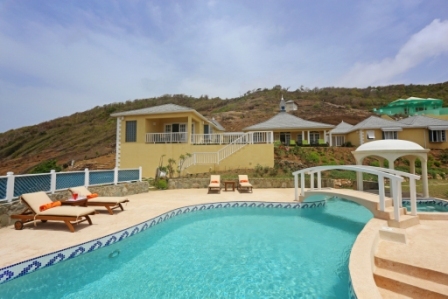 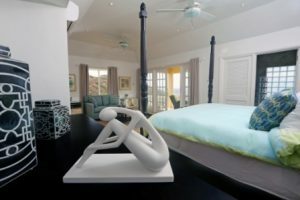 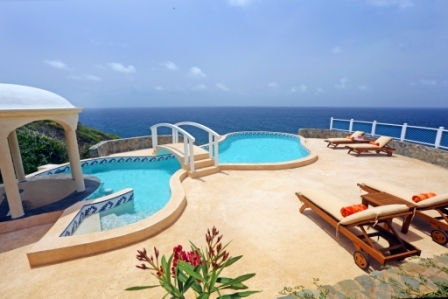 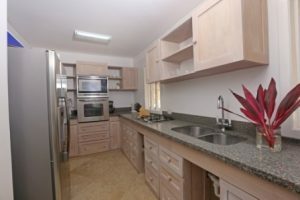 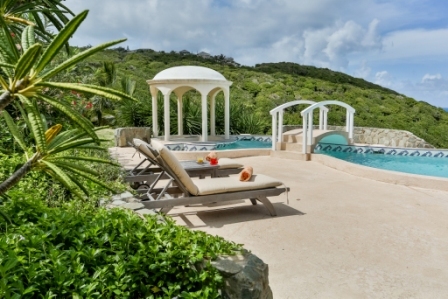 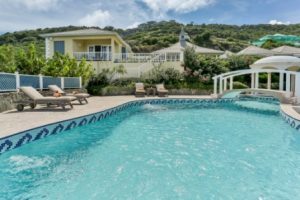 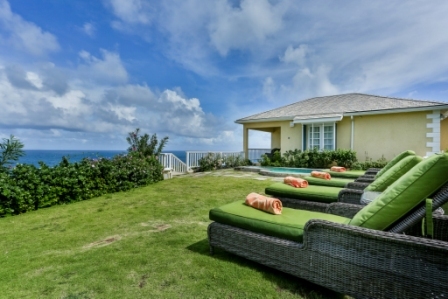 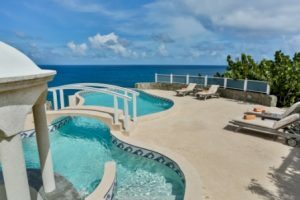 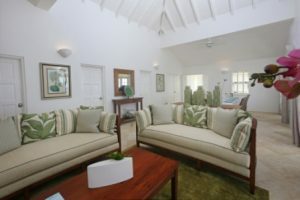 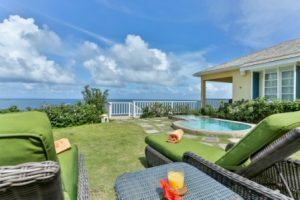 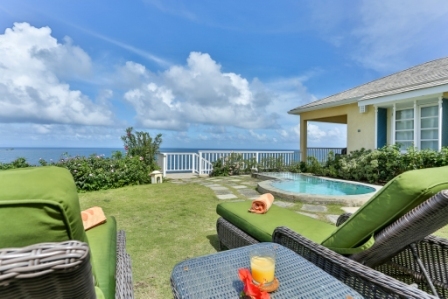 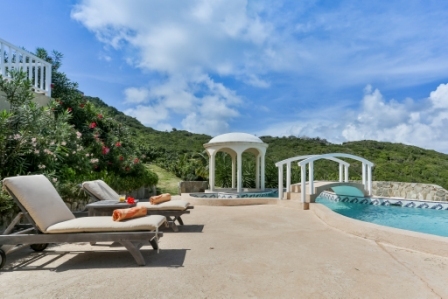 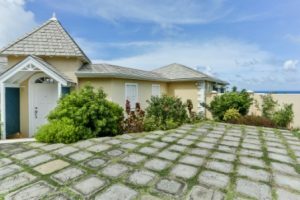 The modern yet Caribbean flair design of the villa is evident through out the house, extending to the living and dining area and out to the pool and deck area. 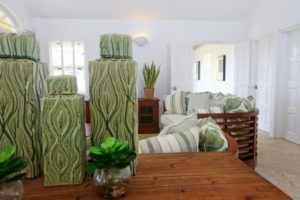 Come let Alina your housekeeper dazzle you with her repertoire of local dishes which can be enjoyed in the main dining area or outside under the stars. 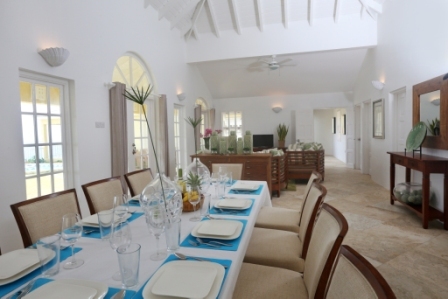 Equinox is the perfect villa and is suitable for all, couples/honeymooners or families. Maid and cook service provided 6 days a week, Monday to Saturday, 8:30 am – 3 30 pm.